Here’s the kind of fun you’ll have at the Whisky & Poetry Salon…. Go Go’ers, consider this a bonus week…and not just because Ms. Go Go is co-hosting a fantastic pre-weekend event! Thanksgiving has been sliced, diced, stirred, carved and (hopefully) digested. Christmas gremlins elves are just cresting the horizon in their elf-mobiles. It’s a little too early to think about the beloved culinary hockey pucks known as latkes. Kwaanza? That’s practically next year. So, this weekend, celebrate the absence of holidays before the mad rush begins. There’s plenty of time for ho ho ho. Go Go’ers, before you don a Jingle Bell sweater for your yearly dose of eggnog and family angst, take time out for a wild evening of whisky and words at the Inaugural Whisky & Poetry Salon hosted by Literary Libations (a.k.a. Ms. Go Go and fellow fun-and-fame pal Karolyn Kiisel). The space: a 1920’s DTLA loft with a spectacular cityscape. The spirits: Whisky Ambassador extraordinaire Johnny theScot Mundell (you know him from events at Seven Grand, Church & State, Taix) will pour a flight of top-drawer, single malt whiskies from different regions of Scotland. The scenesters: There will be no “moon/June/croon” from “guerrilla fighter of poets” Brendan Constantine and wild girl of words Adrian Wyatt. Trust Ms. Go Go: get ready to strap in and hold on for the ride. The secret ingredients? You + a poem…to be read during the evening. It doesn’t have to be an original poem and someone will read it if you’re spotlight-shy. But it’s required for admission (plus $25). Prepare to stagger out transformed. Just in time to warm your innards? 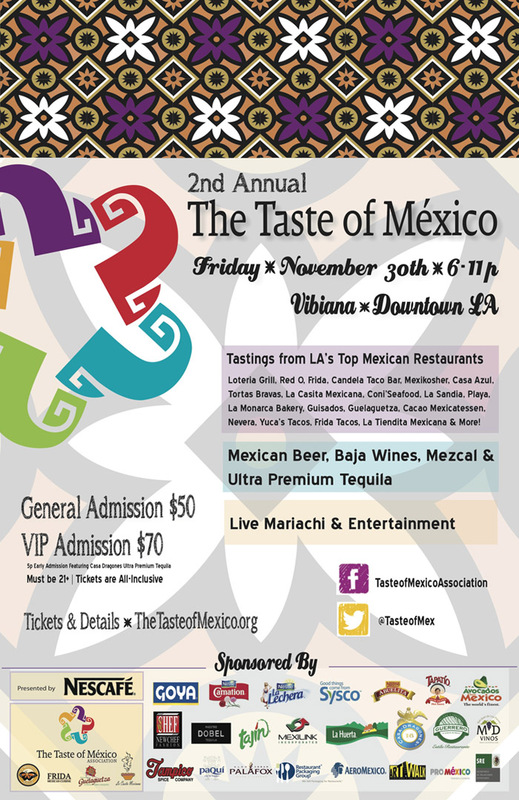 The 2nd Annual Taste of Mexico this Friday, November 30th. Sample L.A.’s best south-of-the-border-inspired fare with bites from Playa and Esquire‘s “Chef of the Year” John Sedlar, James Beard Award-winners La Casita Mexicana and Yuca’s of Hollywood, L.A. Weekly “Best of L.A.” winners La Monarca Bakery and Guisados, and Jonathan Gold “Essentials” such as Guelaguetza and Cacao Mexicatessen among many others. Ms. Go Go is starving just thinking about it. It’s all happening amidst mariachis, DJs, and food and drink demos in the gorgeous Vibiana: a former cathedral. Don’t expect holy water; do expect plenty of Mexican beer, Baja wines, Ultra-Premium Tequilas, and Mezcal. On second thought, the latter can definitely be considered holy water. Worthy of the Last Tycoon…. 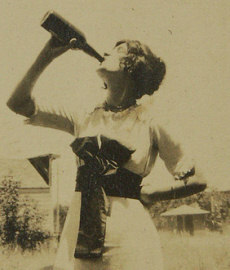 The 1920’s. Let’s face it, Go Go’ers: life was just a little more dangerous and exciting back then, wasn’t it? Foot-long cigarette holders that could poke your eye out. Luckily, Prohibition’s on-the-edge glitz and glamour will be in full swing this Saturday, December 1st at Eat/Drink/Play’s Great Gatsby Party. Get your Jay and Daisy on with (optional) flapper-era finery at the luxe 1920’s Park Plaza Hotel where multiple ball rooms will feature contemporary hits for Philistines (You know who you are) plus jazz, swing, and Twenties dance music for the purists. There’ll be a cash bar for General Admissions while a VIP ticket gets you cocktails, gin and whisky tastings, and entree to the New Amsterdam Lounge where sheiks and shebas can spiff up their look with a manicure, shoe shine or shave. Flappers, the third option probably not available for your gorgeous gams. Yes, yes, Ms. Go Go promised that this weekend would be a respite from red-nosed reindeer and pa rum pa pum pum. 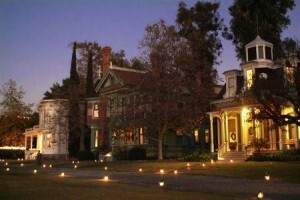 But if you’re the sort who craves tradition without the commercial trappings, the 18th Annual Holiday Lamplight Celebration at the Heritage Square Museum is THE holiday event to ease you into The “Joyous” Season without setting your teeth on edge. Let’s face it: those prim and proper Victorians knew how to party. NOTE: Advance reservations REQUIRED for TOURS; call 323.225.2700 ext. 223, M – F, 9:30AM to 4PM for reservations or additional info.